Meetup Cancelled: Spartan 1000 Workout! (and Junior Spartan) AND Potluck! We are on Groupon TODAY! FREE: 6 weeks to 100 Push-Ups Challenge! New Meetup: Tour de Cure Charity Boot Camp! Intro at 9 or 10? We created a one-of-a-kind fitness boot camp formula designed to get you in shape once and for all! Located in the beautiful Baldwin Park of Orlando, our Boot Camp program is a challenging, intensive, and FUN training program that is GUARANTEED to make you tone-up, drop weight, and lose inches! 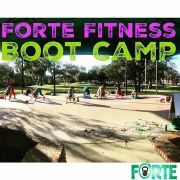 Our Orlando Boot Camp frequently holds Charity Boot Camps, Free Saturday Morning Kettlebell training, and many others! Get Fit & Have Fun!